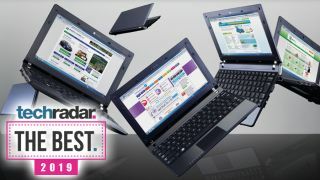 Huawei has done it again, and its latest laptop has topped our best laptops list for 2019. As with last year's Huawei MateBook X Pro, the MateBook 13 comes with some of the latest components, including a discrete Nvidia MX150 graphics card, and a gorgeous lightweight design, that you'd expect to find on a much more expensive laptop. The fact that the MateBook 13 offer so much, yet comes with an impressively low price – compared to its Ultrabook competitors, like the XPS 13 below – makes it our choice for the best laptop money can buy right now. Sure, you may be missing a few minor niceties here and there to achieve such a competitive price, but on the whole, this is the most value-packed flagship laptop that we’ve ever tested. If you're after a few more bells and whistles, like super-fast Thunderbolt 3 ports and a 4K display, then the Dell XPS 13 or MacBook Pro (also on this list of best laptops) may be better choices, but for sheer bang for your bucks, the MateBook 13 is the laptop to beat in 2019. Although the Dell XPS 13 has been knocked in the second place, it is still an absolutely brilliant laptop. There's a good reason it was at the top of our best laptops list for three years running. The Huawei MateBook X Pro is our new pick for the best laptop money can buy in 2018, after years of this list being dominated by the (still excellent) Dell XPS 13, which is now in second place. While Huawei hasn't been making laptops for as long as more established manufacturers in this list, it has absolutely knocked it out the park with the MateBook X Pro. This is a gorgeously-designed laptop with a stunning screen (albeit with a rather odd aspect ratio), and it comes packed with cutting edge components that allows it to perform brilliantly, and a battery life that runs rings around many of its rivals. It also has a very competitive price, giving you features, design and performance for quite a bit less money. Some of the very best laptops in 2017 have been 2-in-1 devices, and Lenovo has added to that list with the excellent Lenovo Yoga 920. It features a wonderfully slim design, and its build quality is exceptional. The 360 degree hinge allows you to convert the laptop into a tablet-like device, making it flexible in all senses of the word. It's cheaper than the Surface Book 2, and while it doesn't offer quite the same quality when in tablet mode, it's an excellent device with plenty of power and bags of battery life. It's definitely a worthy alternative, and it's easily one of the best laptops we've seen this year.